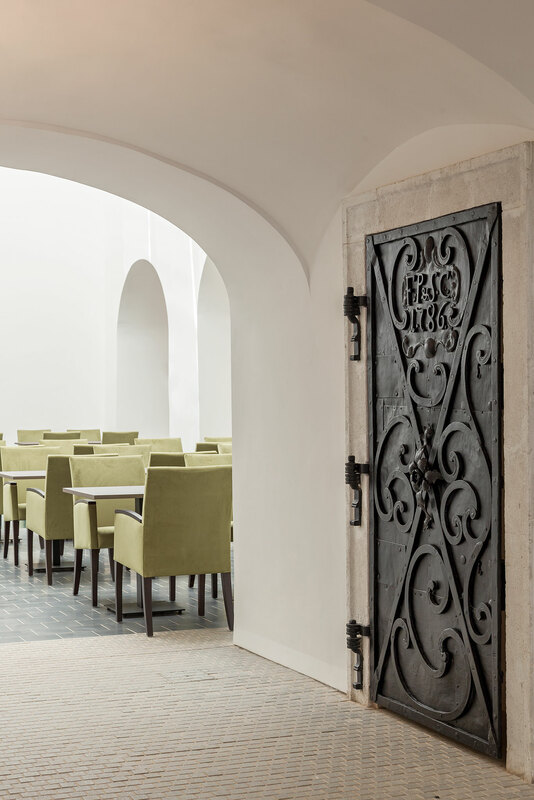 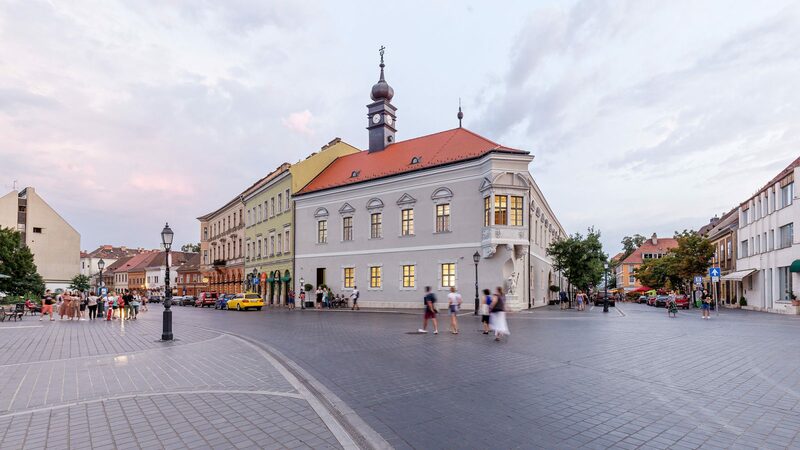 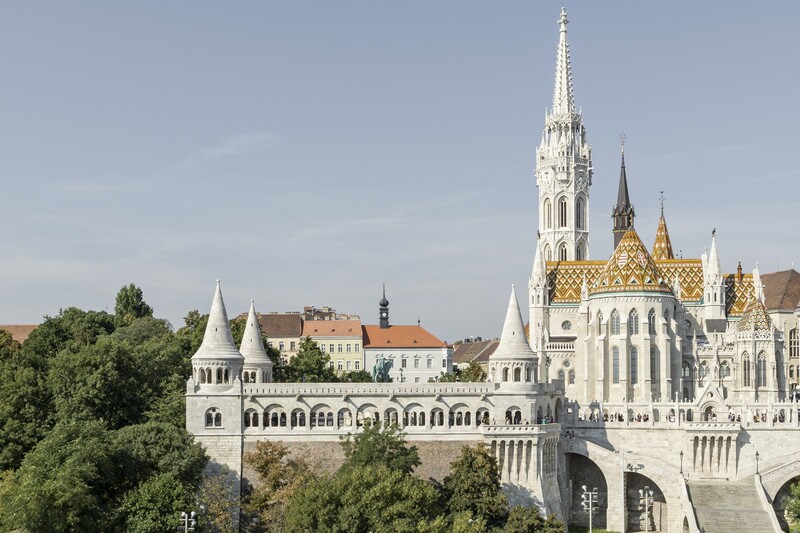 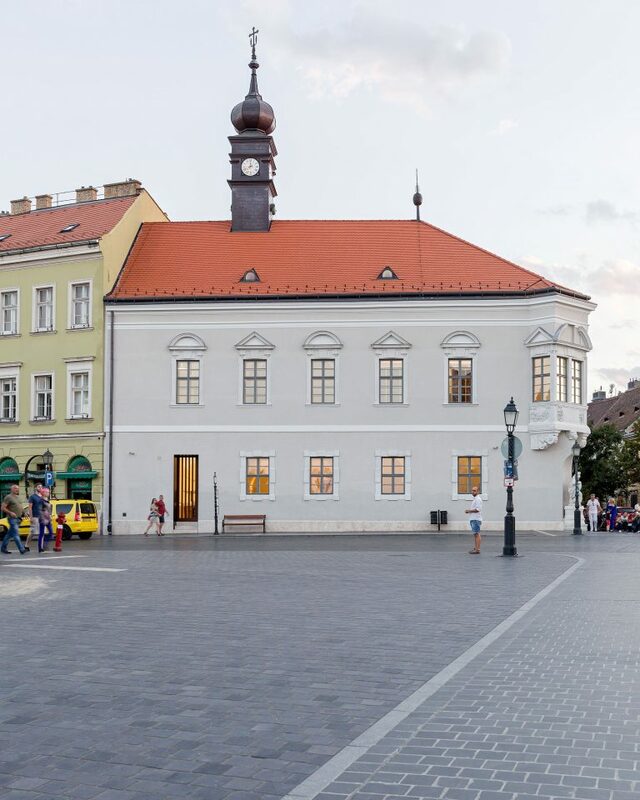 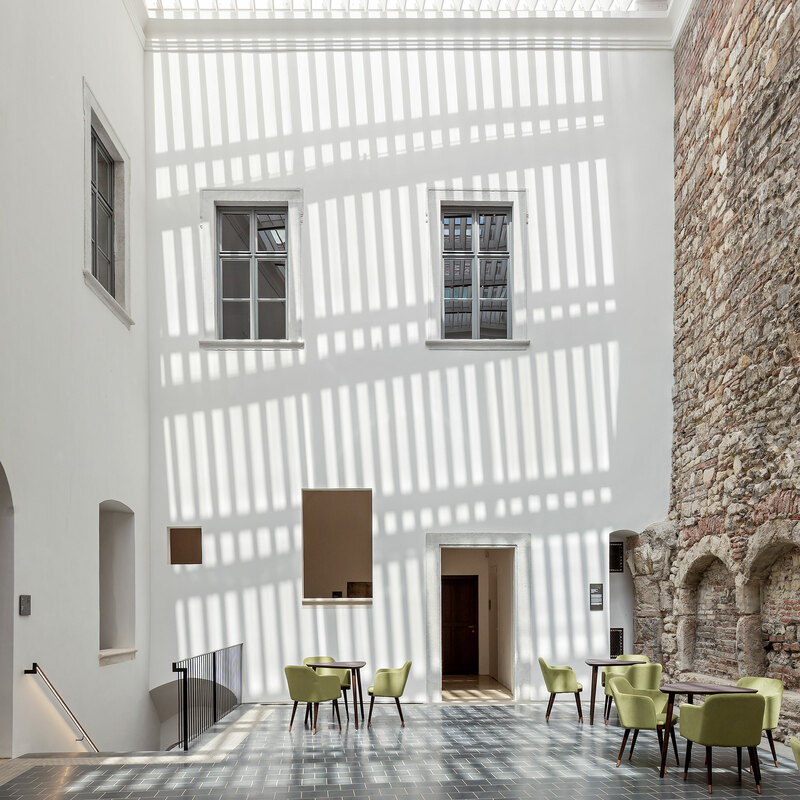 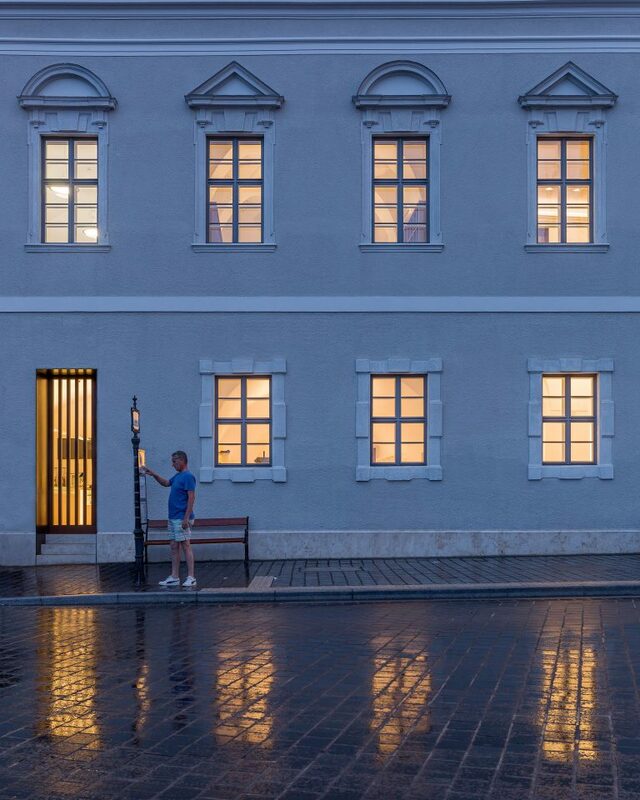 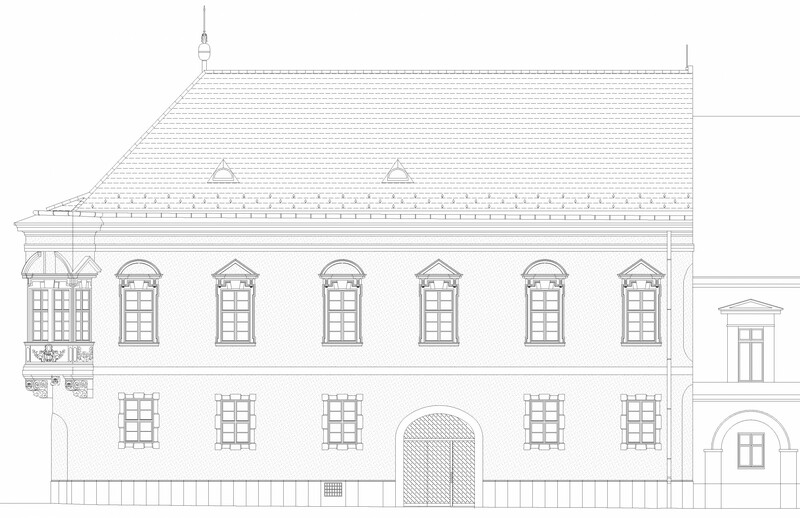 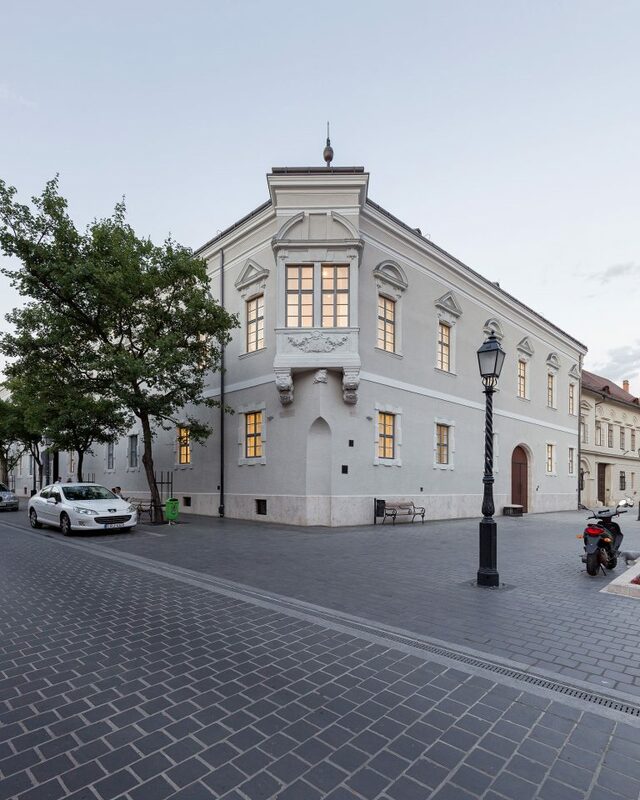 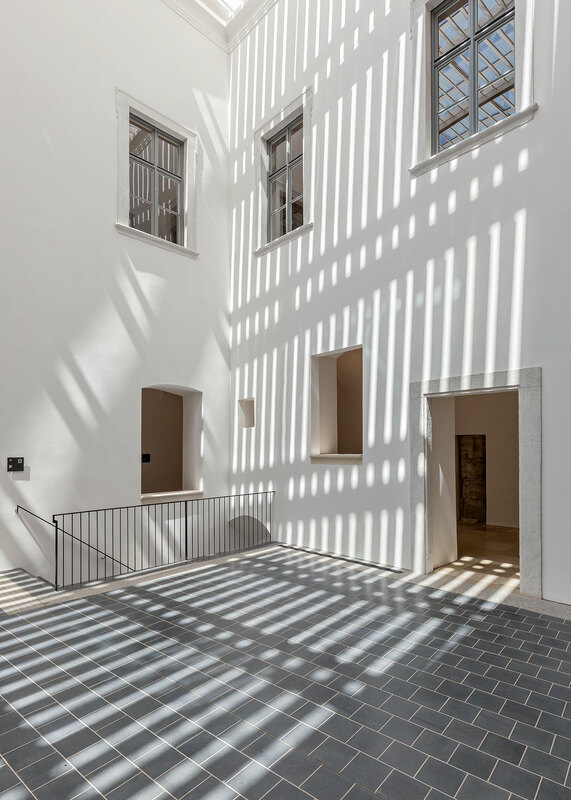 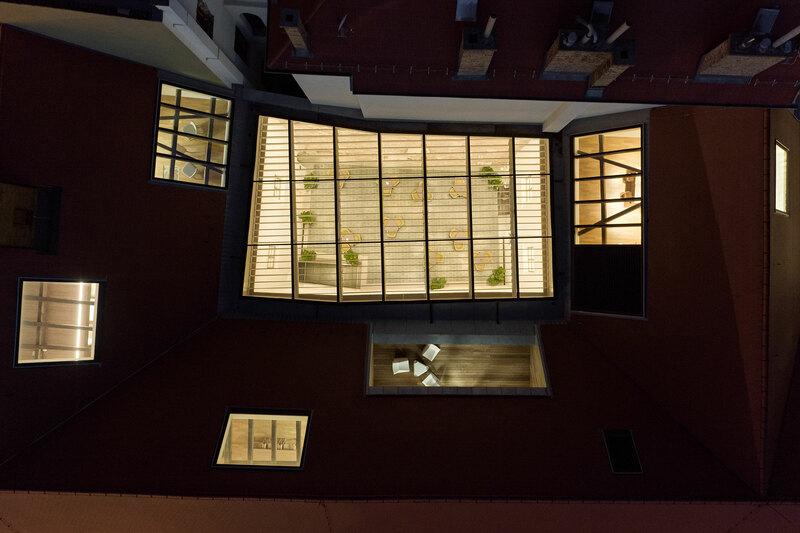 The permit and construction plans for the complete historic reconstruction, courtyard covering and loft conversion project of Buda’s former Town Hall building, standing on the lot bordered by Úri, Szentháromság and Tárnok streets, were prepared in the 1st half of 2015. 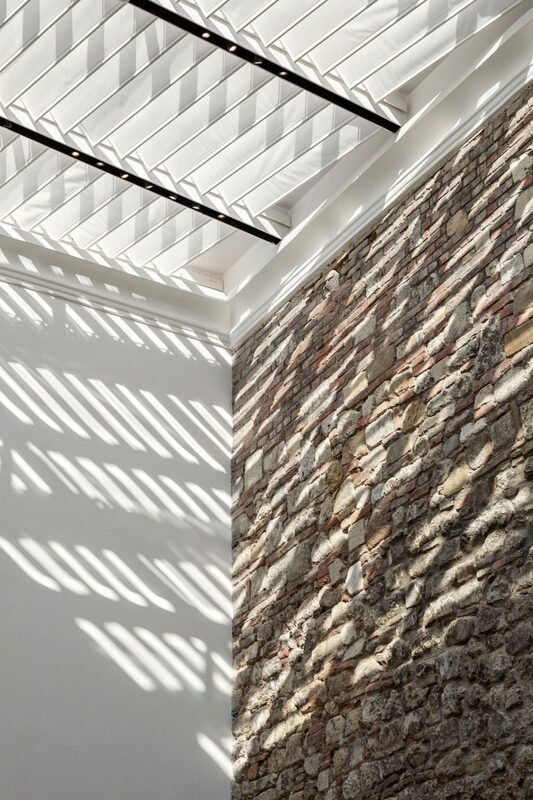 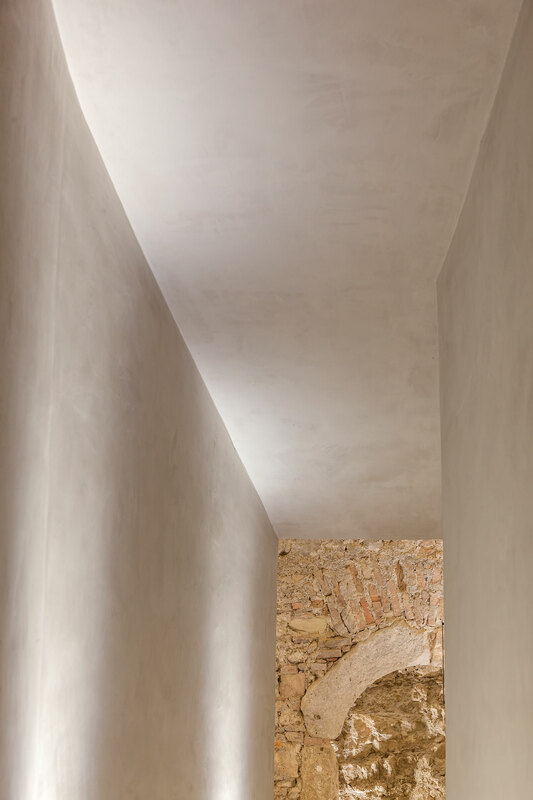 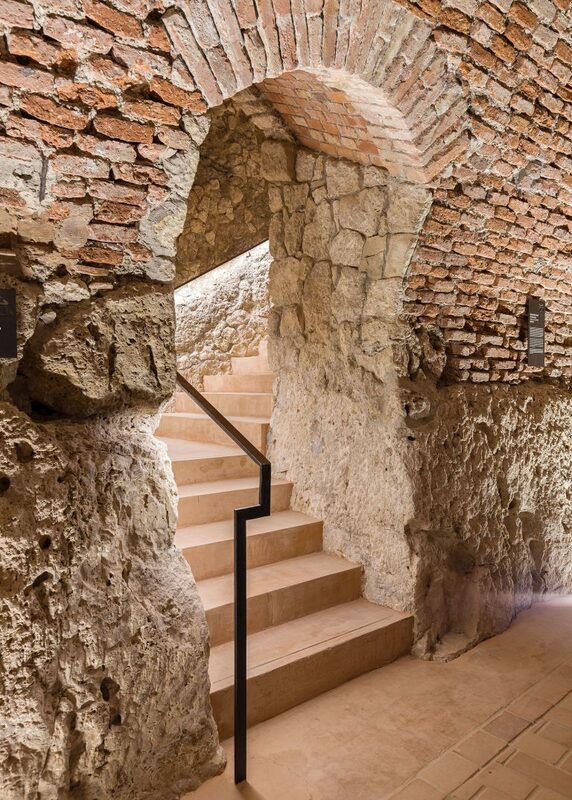 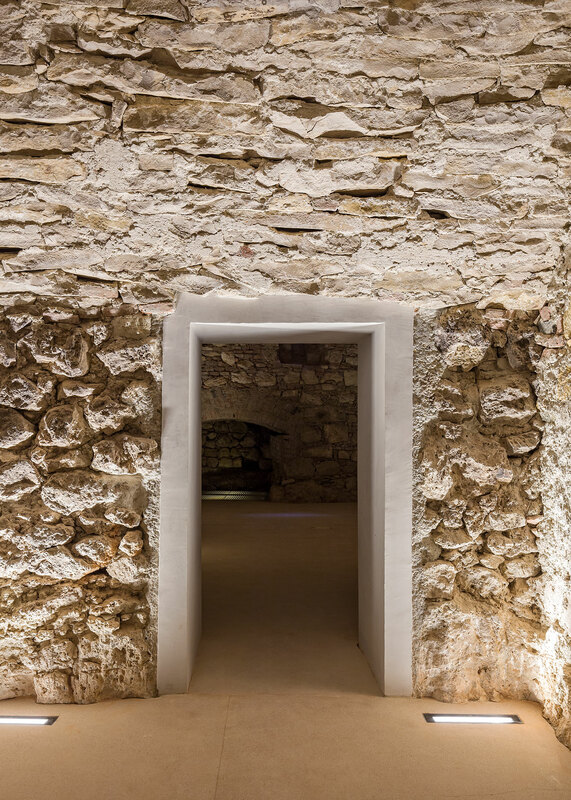 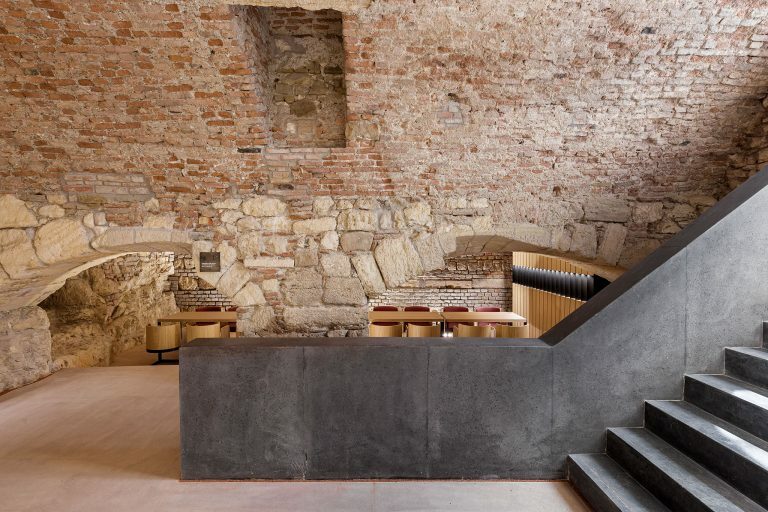 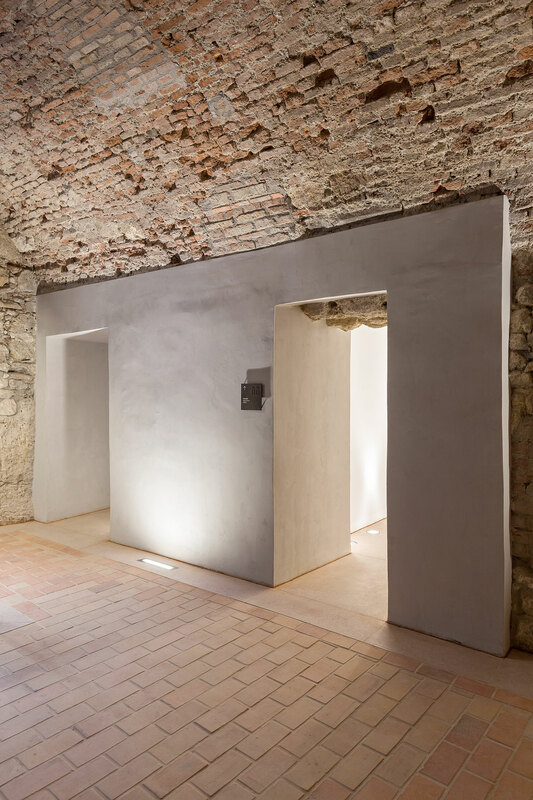 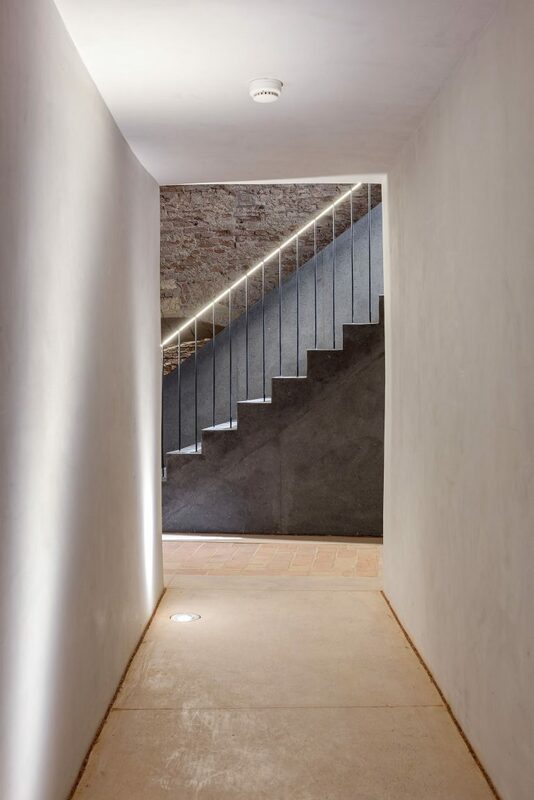 The renewal of the building with unique historical value had a dual purpose: the reconstruction of the basically Baroque building with significant medieval parts from the 13th century, going through several construction periods, by preserving their exciting material, structural and spatial imprints, and at the same time a revitalization that meets today’s demands. 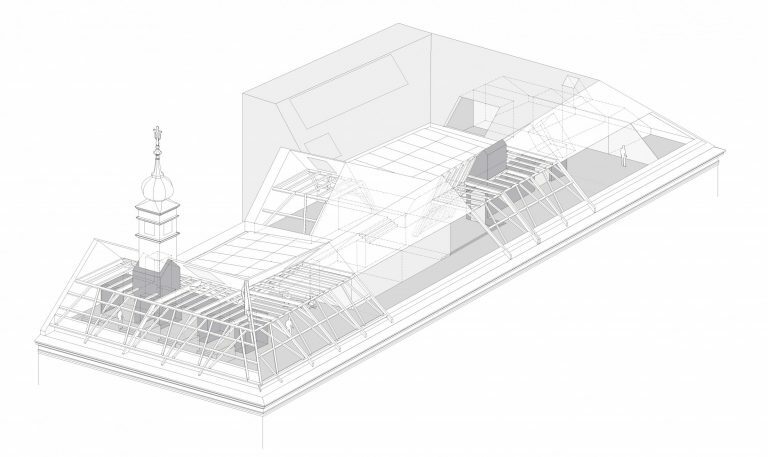 In preparing the plans, we wanted to combine these two criteria. 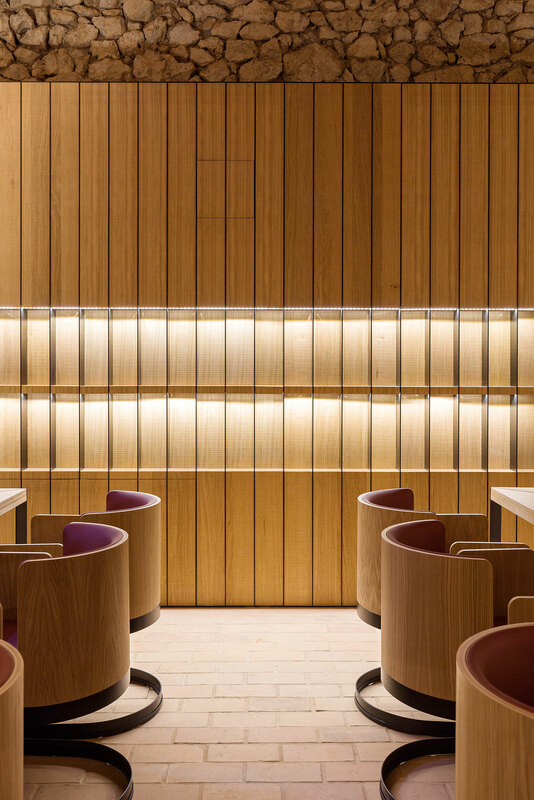 While mainly public functions will be implemented on the ground floor and basement (exclusive restaurants, showrooms, wine cellar and wine museum), the 1rst floor and the attic will provide space for educational rooms. 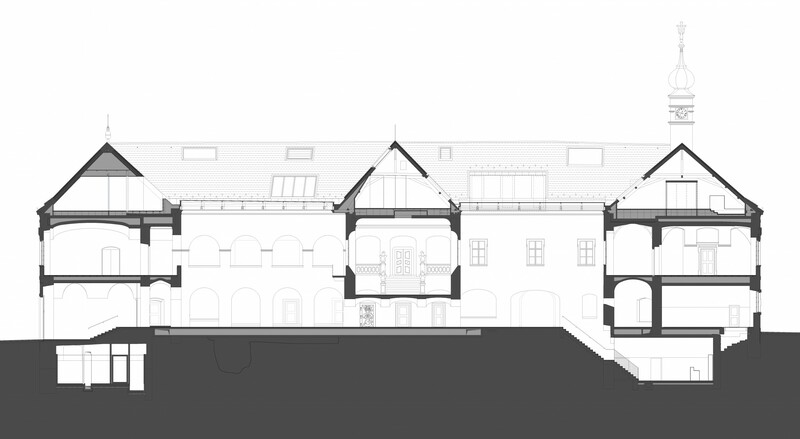 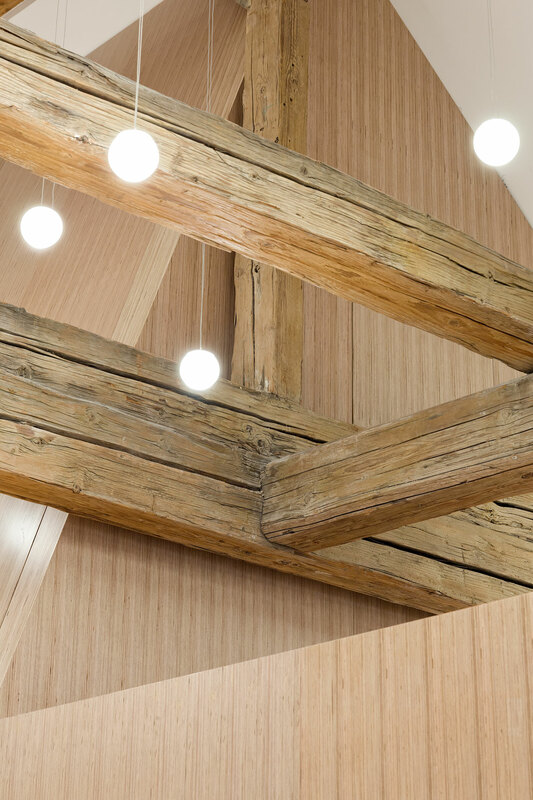 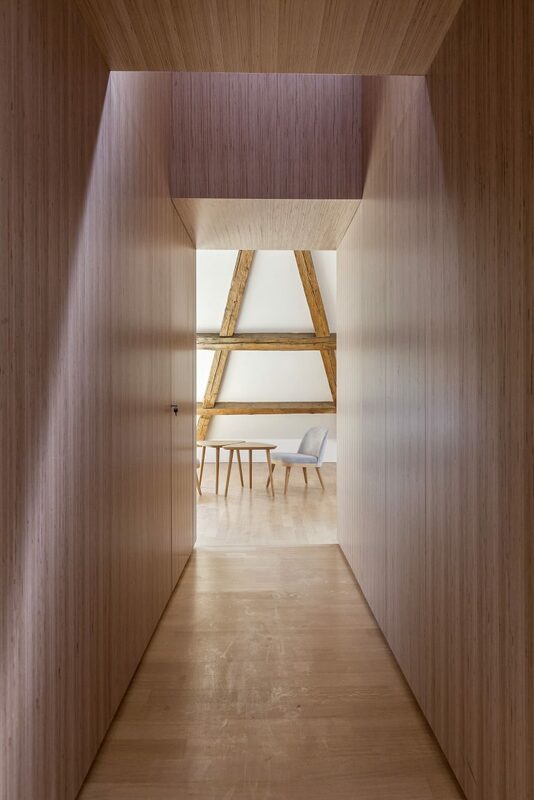 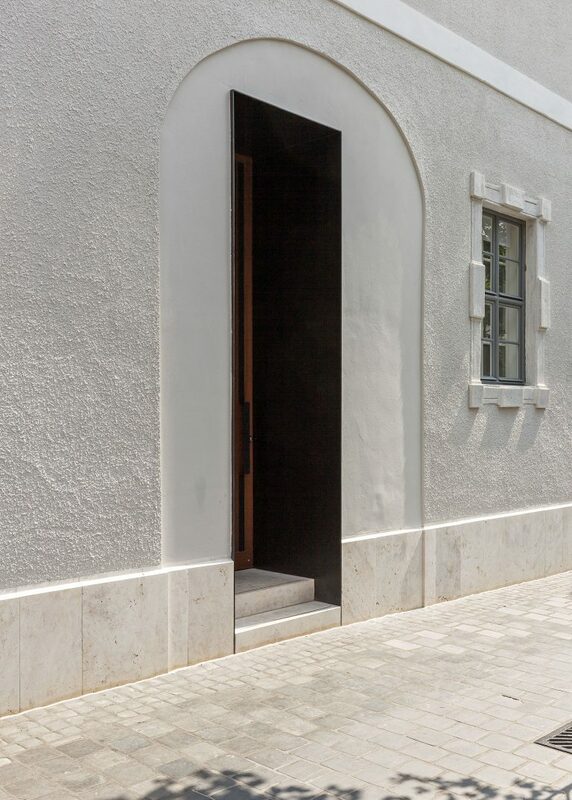 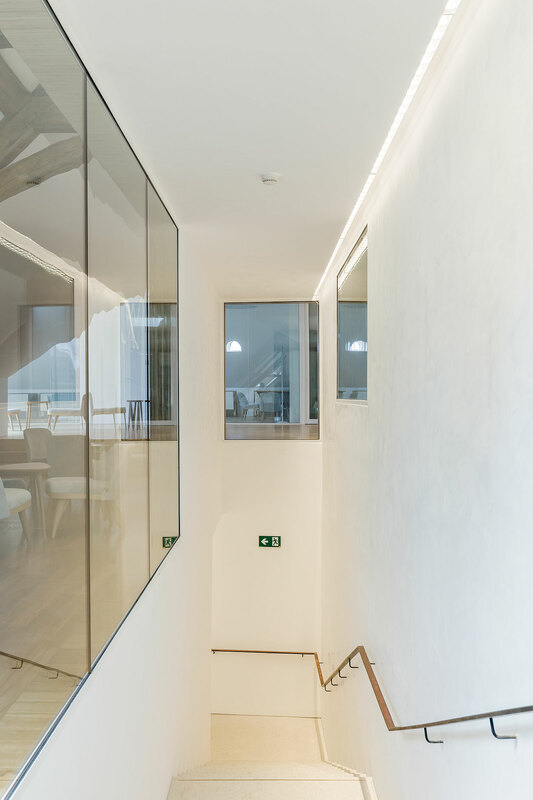 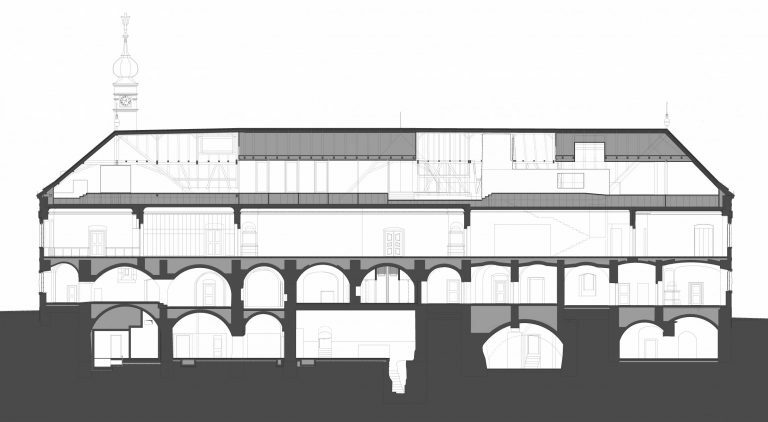 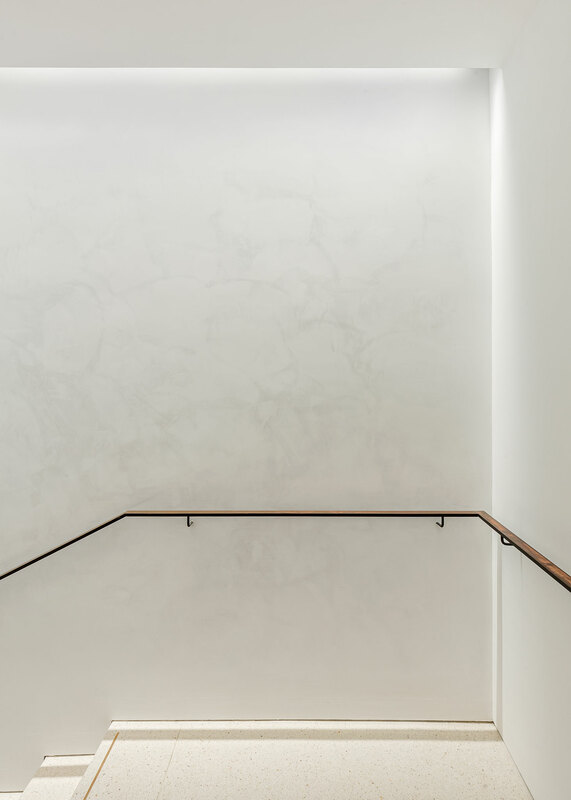 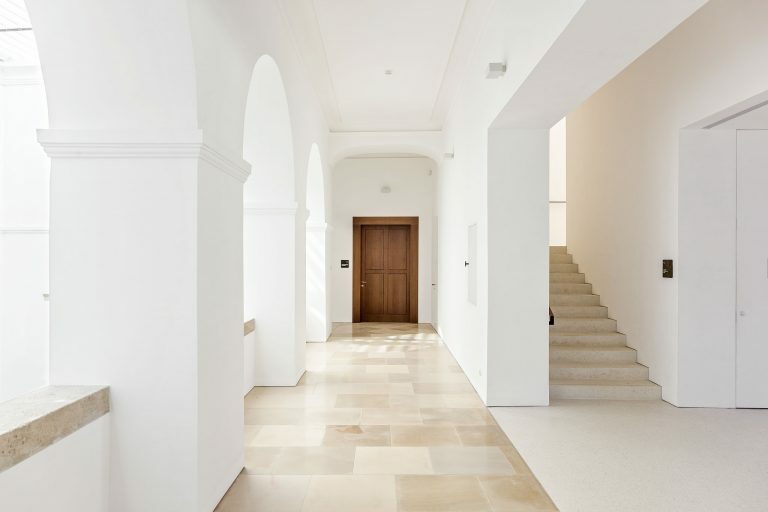 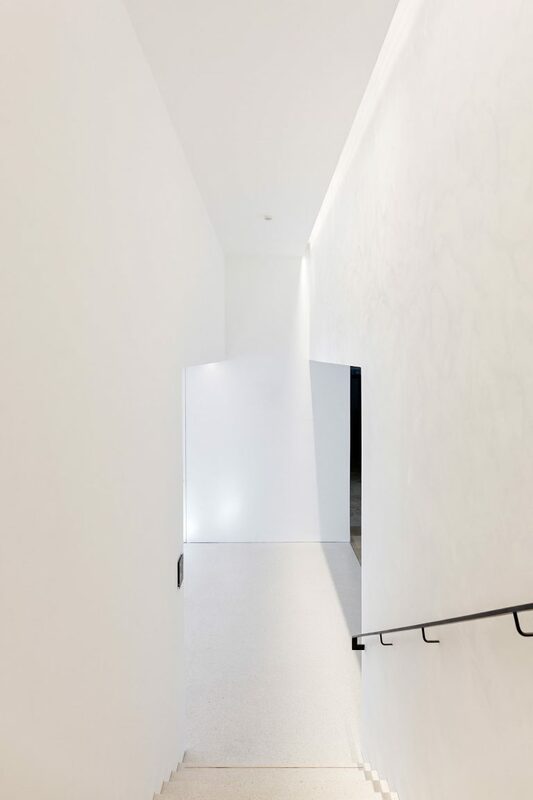 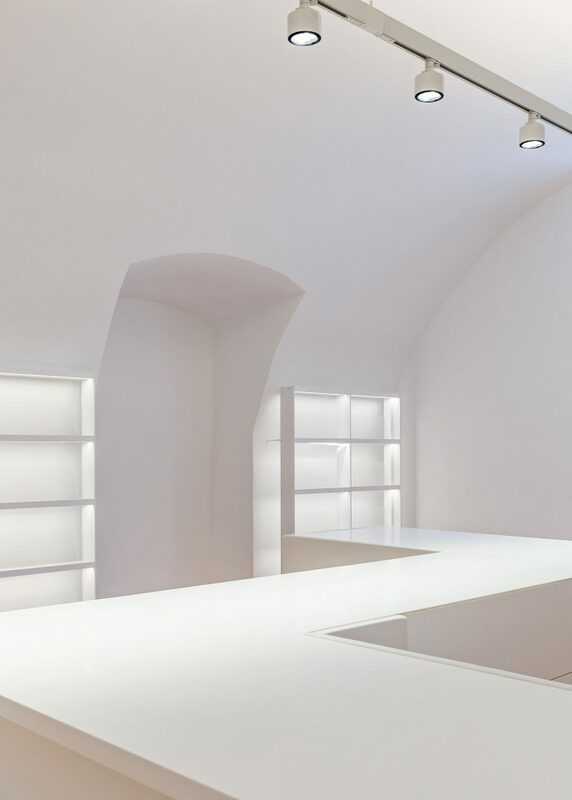 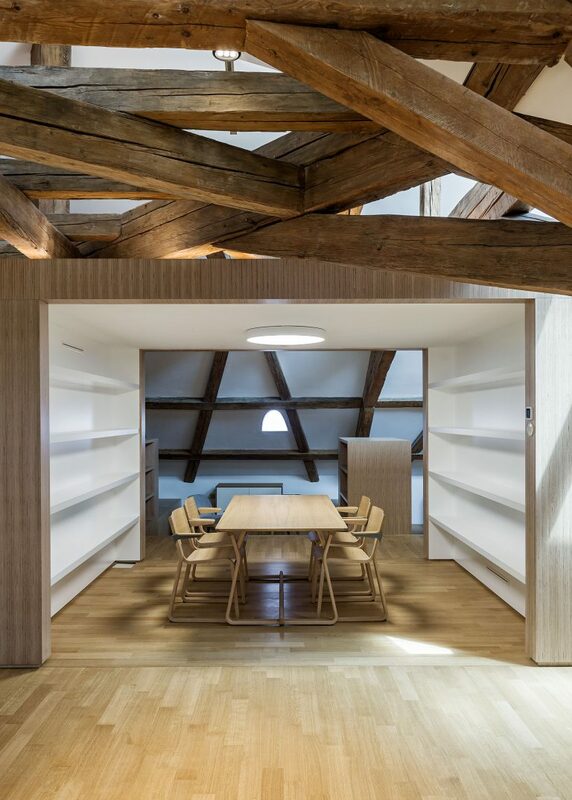 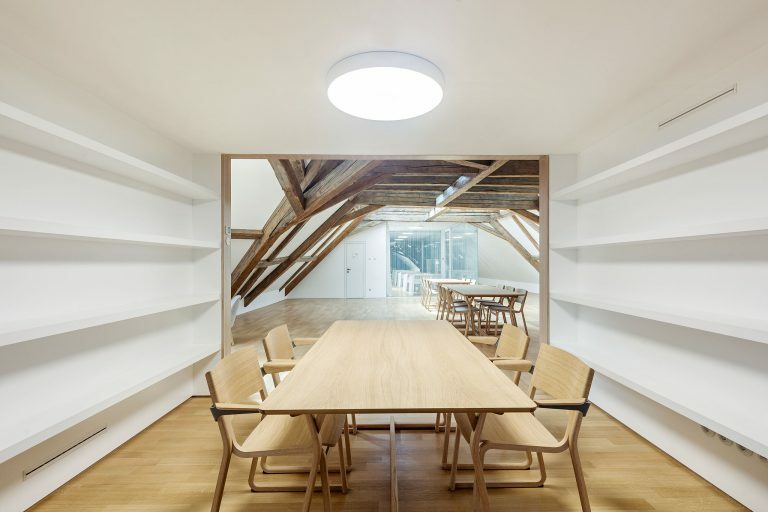 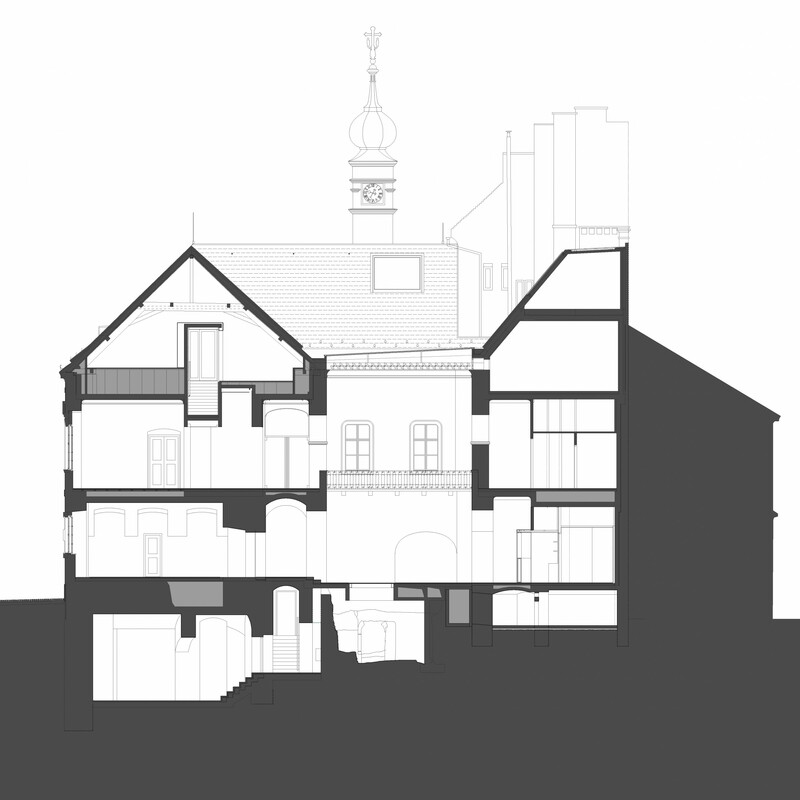 Upstairs, the prestigious Baroque enfilade shall serve administrative, educational and representative functions, and the attic floor will be the researchers’ workplace. 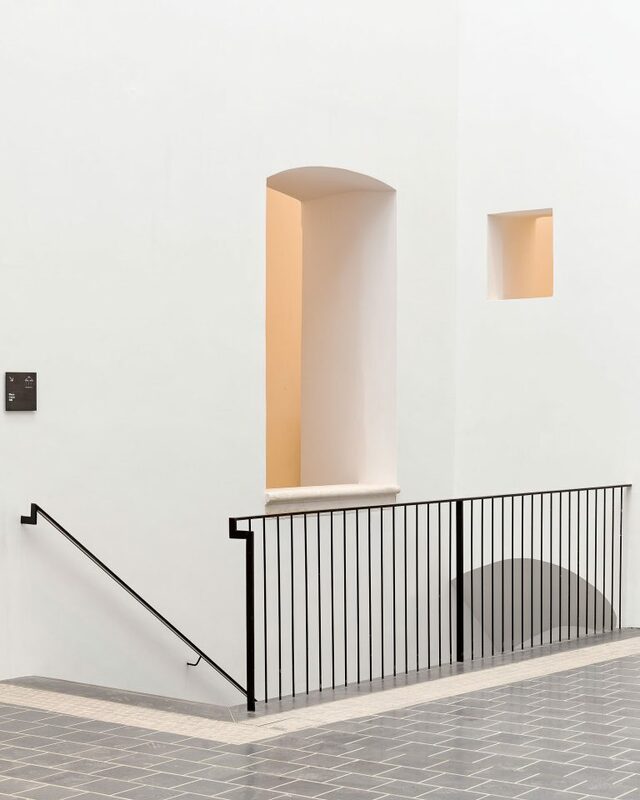 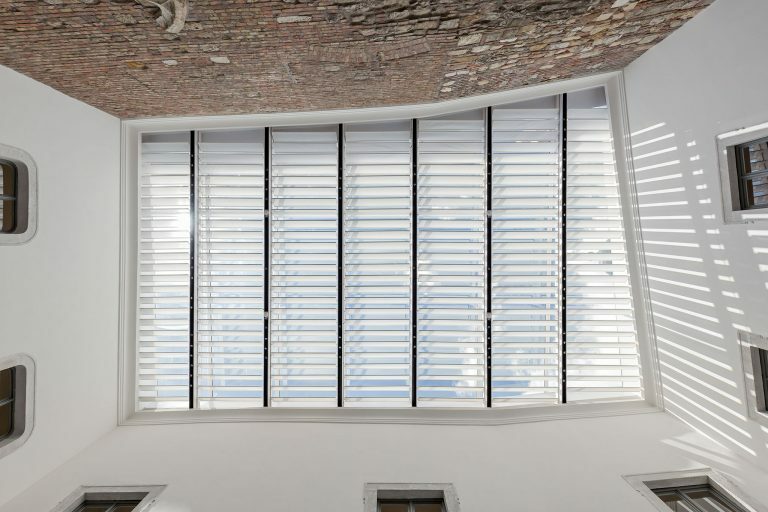 Covering the courtyards of the building can replace the hall-like space currently missing from the building, which would be suitable for events and could play a ground floor-distribution role too. 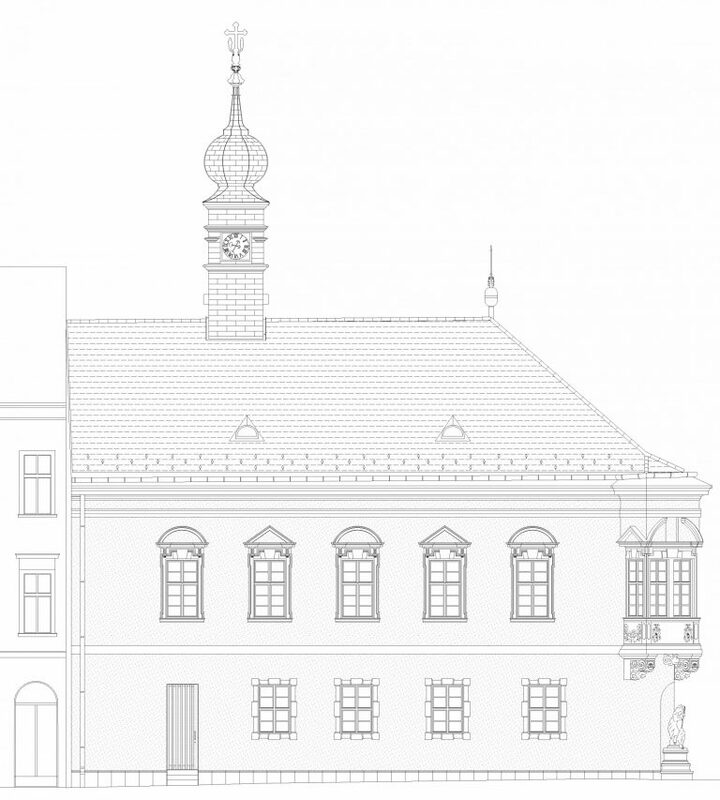 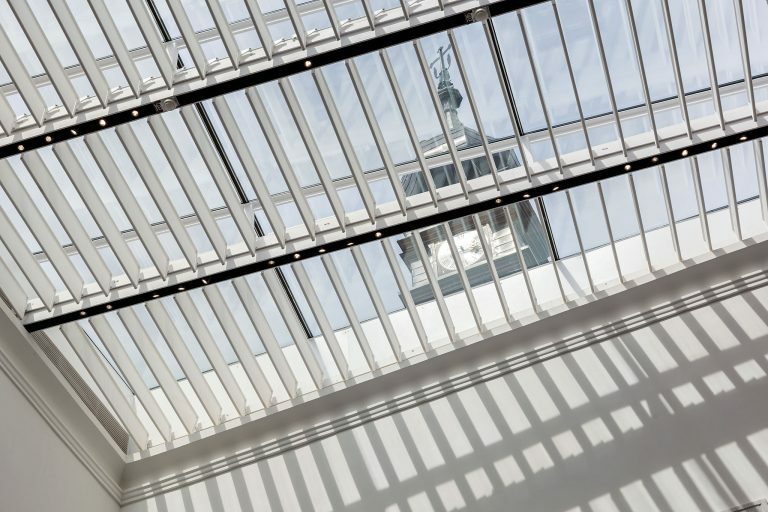 The building’s 300 years old Baroque roof was greatly damaged in World War II, the renewal is based on a radical distinction between old and new parts.